Before getting on to the Loadrunner interview questions, the student must know that the Loadrunner is a continuously varying field which needs the students as well as professionals to upgrade their skills with the new features and knowledge, to get fit for the jobs associated with Loadrunner. This post related to Loadrunner Interview Questions and Answers, Loadrunner Interview Questions and Answers Freshers, Loadrunner Interview Questions and Answers, Loadrunner Interview Questions will help you let out find all the solutions that are frequently asked in you upcoming Loadrunner interview. Over thousands of vacancies available for the Loadrunner developers, experts must be acquaintance with all the component of Loadrunner technologies. This is necessary for the students in order to have in-depth knowledge of the subject so that they can have best employment opportunities in the future. Knowing every little detail about Loadrunner is the best approach to solve the problems linked with problem. 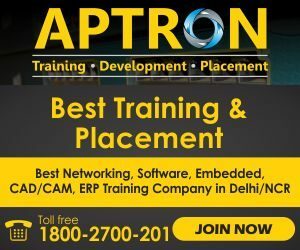 APTRON has spent hours and hours in researching about the Loadrunner Interview Questions and Answers, Loadrunner Interview Questions and Answers Freshers, Loadrunner Interview Questions and Answers, Loadrunner Interview Questions that you might encounter in your upcoming interview. All these questions will alone help you to crack the interview and make you the best among all your competitors. First of all, let us tell you about how the Loadrunner technology is evolving in today’s world and how demanding it is in the upcoming years. In fact, according to one study, most of the companies and businesses have moved to the Loadrunner. Now, you cannot predict how huge the future is going to be for the people experienced in the related technologies. Hence, if you are looking for boosting up your profile and securing your future, Loadrunner will help you in reaching the zenith of your career. Apart from this, you would also have a lot of opportunities as a fresher. These questions alone are omnipotent. Read and re-read the questions and their solutions to get accustomed to what you will be asked in the interview. These Loadrunner interview questions and answers will also help you on your way to mastering the skills and will take you to the giant world where worldwide and local businesses, huge or medium, are picking up the best and quality Loadrunner professionals. This ultimate list of best Loadrunner interview questions will ride you through the quick knowledge of the subject and topics like Performance Testing, Virtual User generator, Controller, Analysis. This Loadrunner interview questions and answers can be your next gateway to your next job as a Loadrunner expert. These are very Basic Loadrunner Interview Questions and Answers for freshers and experienced both. Q1: What is load runner? A1: Load Runner is a performance testing tool from HP. This tool supports all aspects such as Load, Stress, Endurance, data volume and spike Testing. Q2: Which components have you used in Loadrunner ? Q3: What is load runner Agent. Q4: What is the significance of “Vuser-init “? A4: Vuser-init records the pre-operations also called the initialization operations before the actual application is run. Q5: What is extended log? A5: An extended log will store information such as data returned by server and advanced trace, parameter substitution and much other information depending on the options you select in run-time settings. Q6: How will you divide your script into multiple Actions? Why? A6: I will divide the script into Actions based on the functionality. For example, Once Action for Logining into Application, another Action for booking and so on. Actions increase code reusability, reduce maintenance time and hence, decrease costs. Q7: What kind of problem we can face regarding hardware, software, network and memory bottleneck during the performance test? A8: Correlation is used to obtain data which is unique for each run of your test script (ex: session ids). While recording, these dynamic values are hard-coded in your script causing the script to fail during playback. Correlation is a technique where dynamic values are not hard-coded in your script but are extracted at run-time to avoid failure. Q9: What is the difference between transaction and transaction instance in loadrunner ? Q10: What is the difference between Overlay graph and Correlate graph? Correlate Graph: It will Plot the Y-axis of two graphs against each other. Q11: What is load testing? A11: Load testing is to test that if the application works well with the loads from large number of simultaneous users and transactions. It also used to determine whether it can handle peak usage periods. Q12: What is a rendezvous point? A12: Rendezvous points are introduced into Vuser scripts to simulate more users on the server. Rendezvous points instruct Vusers to wait during test execution in order to perform the tasks simultaneously. For example, in a banking application, Rendezvous points are inserted for 100+ multiple users to deposit money simultaneously. Q13: What is the difference between Performance testing and Performance engineering? A13: n Performance testing, testing cycle includes requirement gathering, scripting, execution, result sharing and report generation. Performance Engineering is a step ahead of Performance testing where after execution; results are analyzed with the aim to find the performance bottlenecks and the solution is provided to resolve the identified issues. Q14: What are the different sections of the script? In what sequence do these sections run? A14: LoadRunner script has three sections vuser_init, Action and vuser_end. vuser_init has requests/actions to login to the application/server. Action has actual code to test the functionality of the application. This can be played many times in iterations. Vuser_end has requests/actions to login out the application/server. The sequence in which these sections get executed is vuser_init is at the very beginning and vuser_end at the very end. The action is executed in between the two. Q15: How to identify what to correlate and what to parameterize? A15: Any value in the script that changes on each iteration or with the different user while replaying needs correlation. Any user input while recording should be parametrized. Q16: While scripting you created correlation rules for automatic correlation. If you want to share the correlation rules with your team member working on the same application so that he/she can use the same on his workstation, how will you do that? A16: Correlation rules can be exported through the .cor file and the same file can be imported through VuGen. Q17: What is the Modular approach of scripting? A17: In Modular approach, a function is created for each request (e.g. login, logout, save, delete, etc.) and these functions are called wherever required. This approach gives more freedom to reuse the request and saves time. With this approach, it is recommended to work with web custom request. Q18: What is Ramp up and Ramp Down? Ramp Down- Rate at which virtual users exit from the load test. Q19: What is wasted time in VuGen Replay log? A19: Waste time is never performed by any browser user and just the time spent on the activities which support the test analysis. These activities are related to logging, keeping record and custom analysis. Q20: How Does LoadRunner Execute A Performance Scenario? A20: You can easily create and run the load test scenario. Following steps are involved in the process. A thorough test plan is required for successful load testing. Script contain task performed by each Vuser or multiple Vuser. A scenario describes an event that occurs during a testing session. It includes a list of machines where the Vuser”ll run, a list of scripts to launch by Vuser and the no. of Vusers. Emulate load on the server by introducing multiple Vusers to perform the task. Using LR online run-time, transaction resources, database resources and firewall resources can be monitored. It produces graphs and reports. You can use them to analyze the performance of an application. Q21: Which LoadRunner Component Does The Recording Of Performance Test Scenario? A21: The Virtual User Generator (VuGen) component allows recording of a script. It enables to define Vuser scripts for a variety of application types and communication protocols. Q22: What Is The Advantage Of Running Vuser As A Process Than A Thread? While Vuser is run as a thread, the single instance of driver program facilitates multiple Vusers. You can run more no. of Vusers on a single generator in the multi-threaded mode. Q23: What Is The Purpose Of An Extended Log? A23: An extended log is expected to convey the following information. 13.1. Data returned by the server and any of the advanced traces if available. 13.3. Other information depending on the options you select in LoadRunner settings. Q24: What Is Manual Correlation? A24: Manual Correlation involves the following actions. 19.1. Identify the dynamic value. 19.2. Find the first occurrence of dynamic value. 19.3. Identify the unique boundaries to capture the dynamic value. 19.4. Write the correlation function “web_reg_save_param” before the request gets the first occurrence of dynamic value in response. 19.5. This correlation technique uses function Web_reg_save_param() to identify dynamic values in your script. It is important that your playback your script to verify that correlation is done successfully. Q25: Why VUGen is used in LR? A25: The Virtual User Generator (VUGen) enables to develop Vuser scripts for a variety of application types and communication protocols. It is used to record and run the scripts. Running scripts form VUGen is useful when debugging. It tells how Vuser scripts will run when executed as a part of scenario. While recording a Vuser scripts it generates functions those action which is performed during the recording session. VUGen inserts these generated functions into VUGen editor to create a basic Vuser Script. Q26: What is the need of Checkpoints in LR? A26: When running a test, sometime we need to verify if certain content is found on the returned page. A content check verifies that expected information appears on Web page while the script is running. – Text Check: checks that a text string appears on a web page. – Image Checks: checks for an image on a web page. A27: It is the process of testing the application with the help of different data. It is used when application values are changing in the application. – In data Parameterization we take the help of variable take the different data value form the data pool. It also reduces the size of the scripts. – It helps in emulation real scenario as it avoids caching effect, if we send same data again and again while running same scripts in iteration, then the data could be used from cache or from the temporary table from the database. Q28: How can we edit the Vuser Script? Q29: How to schedule a scenario? – Ramp up: Specifies the entry criteria for the users into the server. Load All users Simultaneously will load all the users at a time after the scenario is started. iii. Run Indefinitely: Scripts will be running indefinitely till we stop the scenario. This option will be used for conducting the Volume testing of an application. Q30: How can we recording VUser Scripts using VUGen? A30: VuGen is used to generate the VUser Script by recording. We can record the user’s action which user performed on the application to complete the specific task. This generated VUser Script can be send to server by calling the server API. When a user communicates directly with the server, system resources are not used on a user interface. This lets you run large number of Vusers on a single workstation. 1. Open virtual user generator. 2. Select the protocol for recording. 3. Click on start recording. 4. Enter URL of the application for recording. 5. Record all steps for the scenario. We know the list of Loadrunner Interview Questions and Answers, Loadrunner Interview Questions and Answers Freshers, Loadrunner Interview Questions and Answers, Loadrunner Interview Questions is overwhelming but the advantages of reading all the questions will maximize your potential and help you crack the interview. The surprising fact is that this Loadrunner interview questions and answers post covers all the basic of the Loadrunner technology and you have to check out the FAQs of different components of Loadrunner too. However, you will be asked with the questions in the interview related to the above mentioned questions. Preparing and understanding all the concept of Loadrunner technology will help you strengthen the other little information around the topic. After preparing these interview questions, we recommend you to go for a mock interview before facing the real one. You can take the help of your friend or a Loadrunner expert to find the loop holes in your skills and knowledge. Moreover, this will also allow you in practicing and improving the communication skill which plays a vital role in getting placed and grabbing high salaries. Therefore, it’s never too late to edge all the basics of any technology. If you think that you’ve not acquired the enough skills, you can join our upcoming batch of Loadrunner Training in Noida. We are one of the best institute for Loadrunner in noida which provide advance learning in the field of Loadrunner Course. We’ve highly qualified professionals working with us and promise top quality education to the students. We hope that you enjoyed reading Loadrunner Interview Questions and Answers, Loadrunner Interview Questions and Answers Freshers, Loadrunner Interview Questions and Answers, Loadrunner Interview Questions and all the FAQs associated with the interview. Do not forget to revise all the Loadrunner interview questions and answers before going for the Loadrunner interview. In addition to this, if you’ve any doubt or query associated with Loadrunner, you can contact us anytime. We will be happy to help you out at our earliest convenience. At last, we wish you all the best for your upcoming interview on Loadrunner Technology.